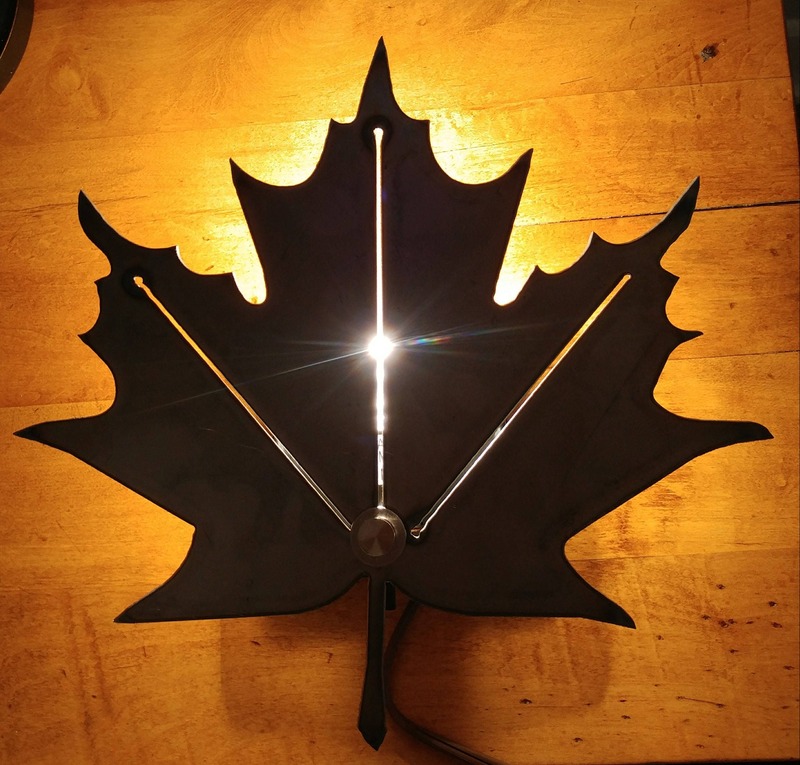 14 Guage metal maple leaf wall light sconce. 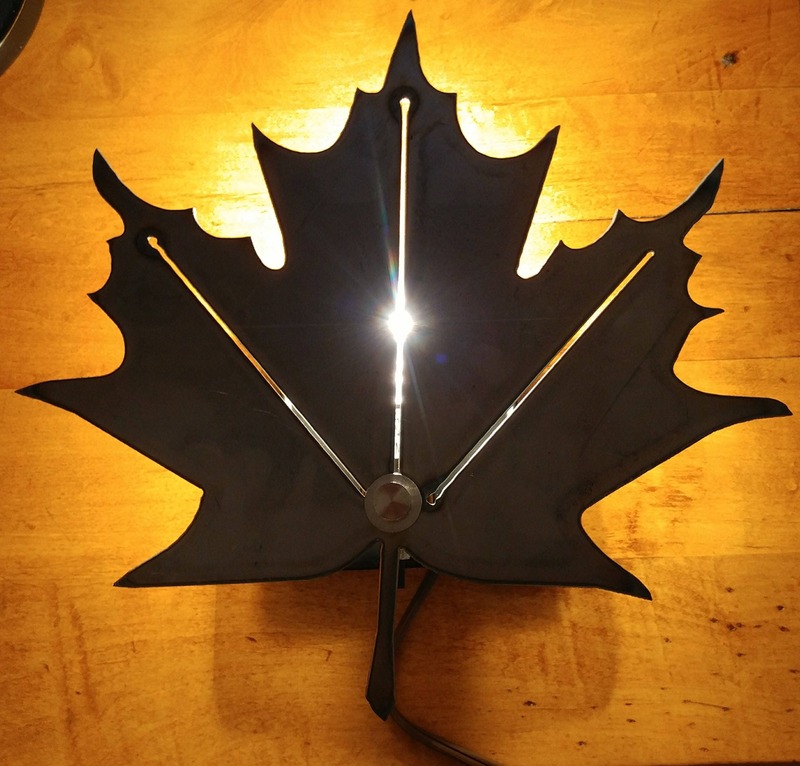 Takes up to 75 watts medium base bulb (even led bulbs) bulb not included. Comes with everything to be hardwired.